Columbia-Adair County Fire Department responded to a house fully engulfed in flames today just after 12:40 p.m. to a residence located at 4330 Fairplay Rd. The house, which is owned by Douglas Keaton, is a total loss. Fire crews are still on the scene and more information will be available soon. 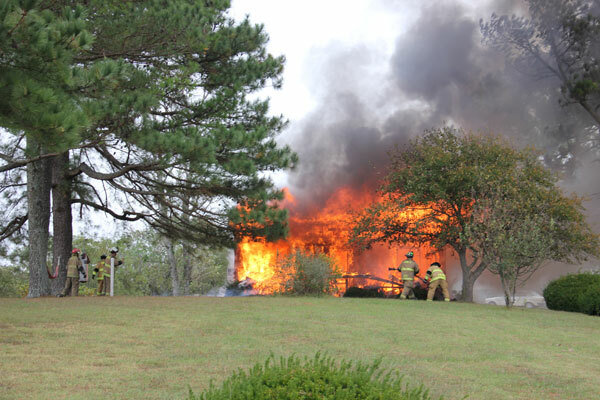 A house of Fairplay Road was fully engulfed Thursday afternoon. Photo by Beth Holmes.